Two of our favourite prints are combined in these lovely sets, so you can vary the look whenever you want. 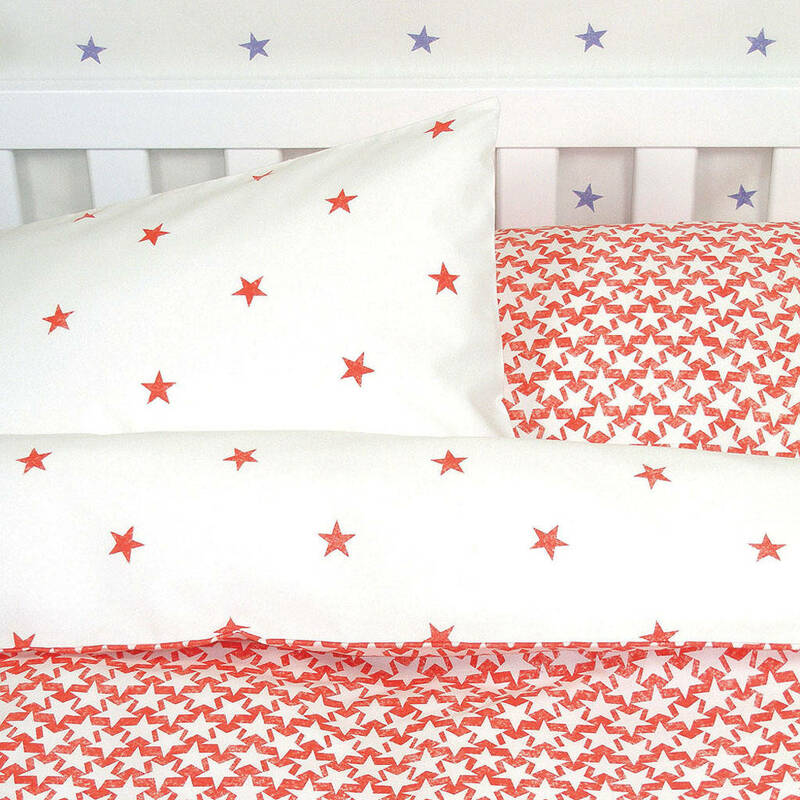 Stars and Stardust bed linen is ideal for children of all ages. They can snuggle up warm, wrapped in stardust, or sleep peacefully under just the lightest scattering of stars. 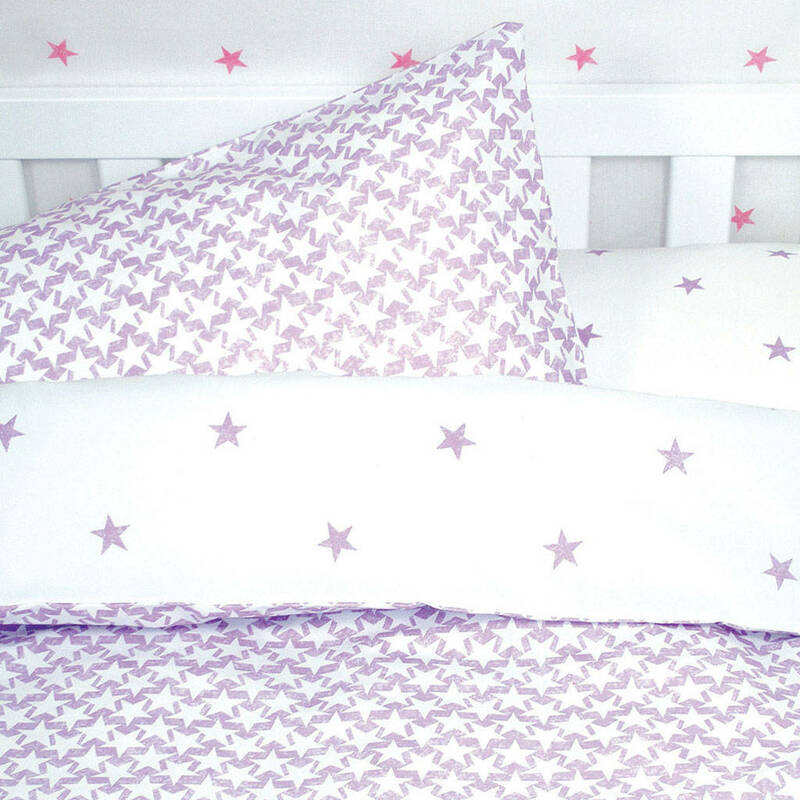 Our lightly textured stencil designs have been printed on a great fabric that washes like a dream. 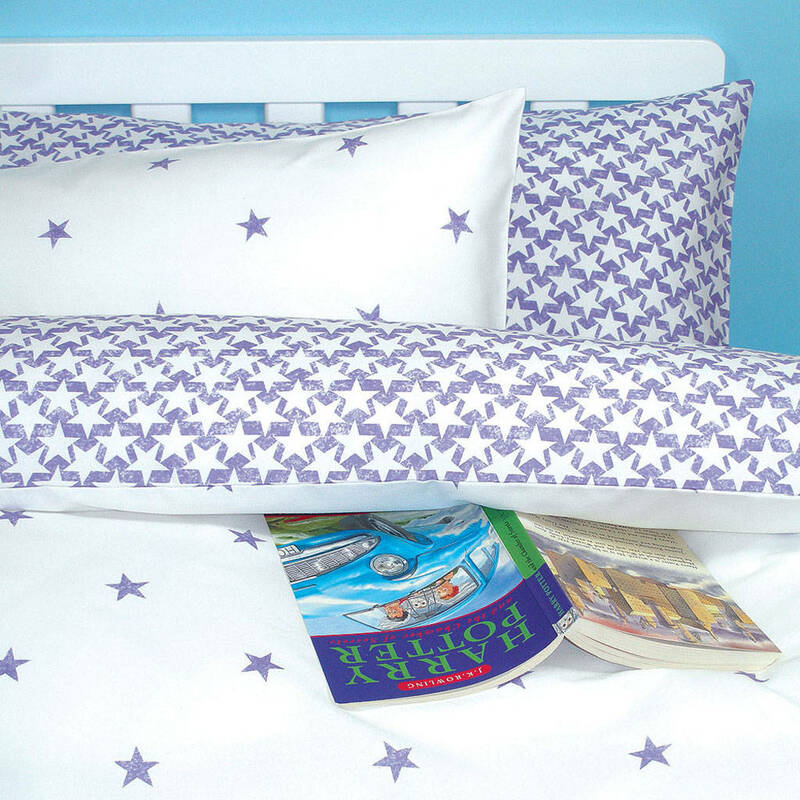 The sets contain a reversible duvet cover and two pillowcases, one in each print. 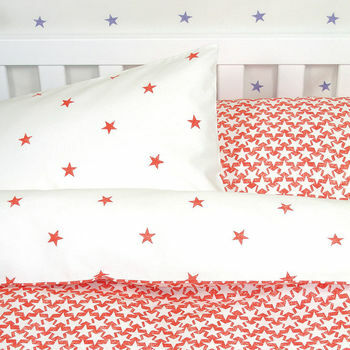 Stars and Stardust bed linen sets are available in two sizes to fit either a single or cot bed. There are four lovely colours to choose from: Pink, Lilac, Red and Dark Violet Blue. This product is dispatched to you by Tessuti.